10+ Stunning DIY Vase Ideas For Your Home Decor! Decorative vases are made from extraordinary styles and materials. Goblets, bowls, baskets and jars filled with contrasting wonders, were limited only by the imagination! To decorate the vase is an art in its own way and are pleasing to the creative spirit. In terms of shape and medium, it is more interesting to create still-like feel when placing flowers in the vase! Let’s get creative, feel free to use everything that can be used to decorate your vase. Re purpose some old materials to make some new interesting vases that can make your space look more beautiful! With some simple details, you can change the look of the old vases that you can use for years. You can make your own design on a new vase or simply to decorate your old one! Also Read: 15 Inspiring Mirror Decor Ideas For Your Home Interior! Your old mason jars, bottles can be turned in to a vase with some lace. You just require a decorative lace & wrap it to the design! This DIY vase looks very elegant on glass jars or bottles. Cut the tissue paper in pieces in a required geometric shape for your DIY vase project. This idea makes a beautiful vase, especially with flowers! You can even add scalable shapes in some areas for unique details. Use disposable spoons to turn a simple jar into pretty art piece! This DIY vase is a fantastic way to show off those seasonal blooms and it is so easy to make! You can also use spray paint on these! Simply stick the colorful pencils onto a vase. I love the cute bow in the middle! This DIY vase idea makes a cuter appearance and a house warming gift! 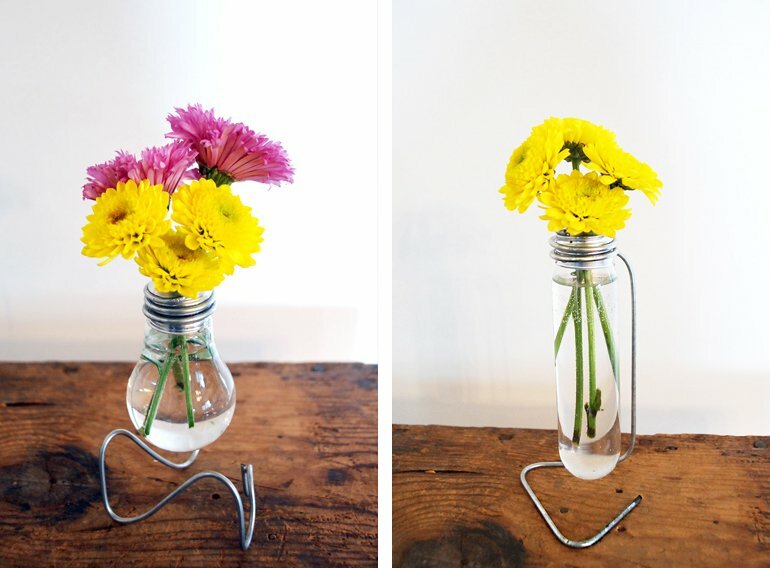 Your old light bulbs can be used as little flower holder for smaller spring and summer flowers! You can set these all up in a sturdy base or even hang them on the walls. They are perfect for hanging on the porch or deck. They are simple and super easy to make. You can complete this DIY vase in just a few minutes! Your home decor vases can be done with this creative rope wrapping idea! It is a great material to work with and are really simple to make. This DIY vase idea give your home interior a rustic decor. You just need a rope, containers and a few basic craft supplies to make these! Here’s an easy way to recycle your old glass bottles. These are so easy to make and you can do as many as you want depending upon glass bottles available in your home. Just choose a colour, or any combination of colours, and paint them to make the most gorgeous flower holder or vases. Collect the bottles together and they make a pretty centerpiece on any table! Cut the slices of wood and stick them on a tin can, terra cotta pots or any old pots. You can also use the branches of wood or bushes! You can also stick it vertically as per your likes! Cover your tin cans and bottles with the old sweaters to make pretty and cozy knitted containers! Simply glue-up your old pennies to a can or plain vases and spray paint silver/gold/copper on it. Such a fun project & gives your home interior a penny look! Cover your plain vases, jars or glasses with the balloons in a brilliant way. 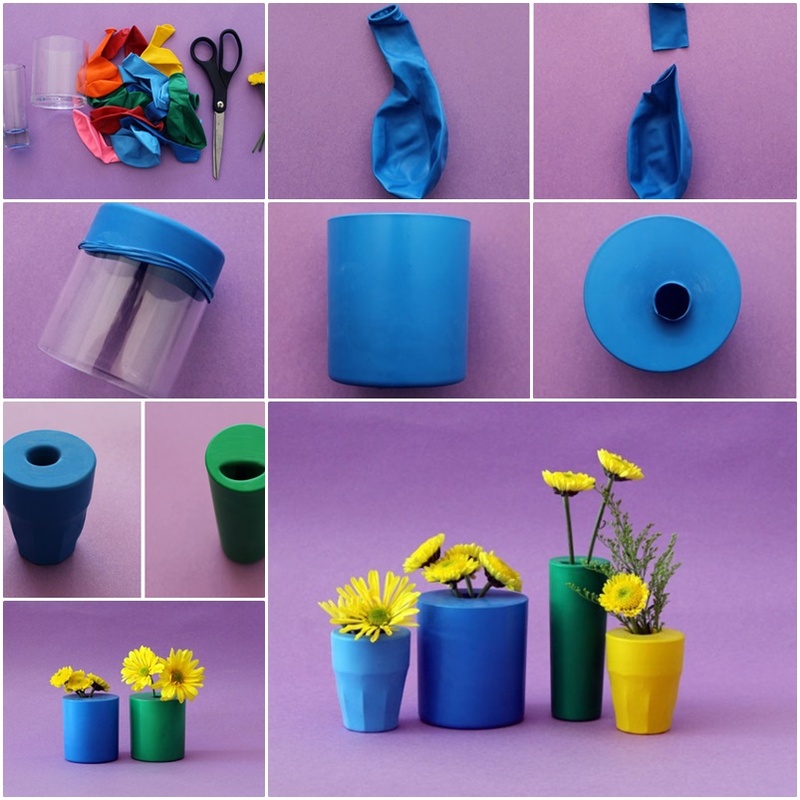 You don’t need a lot of supplies for this, just the container that you want to make into a vase and your favorite colour balloon. Add a bit of glitters to your glass vase or can, surely it will bring a smile on your face! This beautiful glitter glass vase would make a perfect centerpiece for a party! These are so simple to make and they’re really cheap, even if you have to buy your seashells from the Store! If you have seashells from your last trip to the beach, you can surely use those! 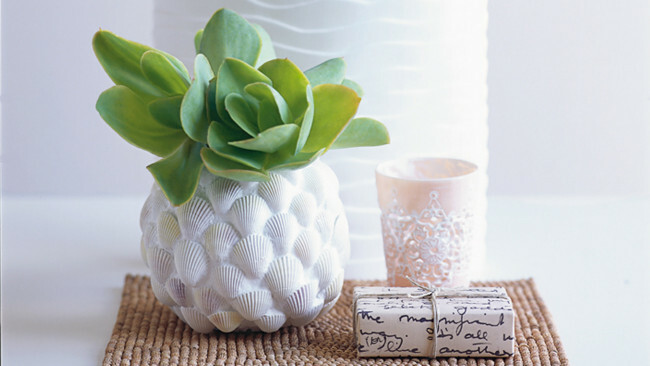 Hope these DIY vase ideas are easy to start your home decor! Share your experiences and other creative ideas in the comment box below. Tips for Staircase Wall Decor: Hanging Arts! Next PostNext What is the Difference Between Structural Analysis and Structural Design?